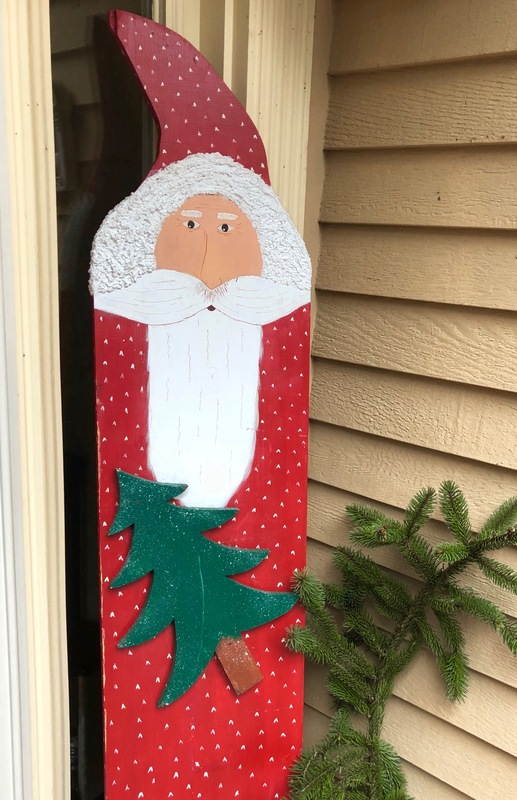 This entry was posted in Live Christmas Tree?, New Hampshire and tagged Artificial Christmas tree?, Christmas decorations, Holiday Decorations, Holiday Season, Live Christmas Tree? by Annie. Bookmark the permalink. Some of them look so real, don’t they? My dislike of artificial trees must be something to do with my “gardening nature loving soul,” too. When we had a large property I bought live trees that I could plant after Christmas. That was great fun but I had to leave them outdoors until a week before Christmas. They would not be very happy in a warm house for the whole month of December. I understand your need for artificial trees. Maybe having a little bit of that fresh spray might help me decide. Every year my hubby pushes for a day at the Christmas tree farm so he can lay on the soggy, cold earth and saw down a tree while I stand shivering nearby to make sure the tree doesn’t fall on his head. If we decide on a live tree, it’ll definitely come from the pre-cut trees down on the corner…. We switched to artificial several years ago when we decided we wanted the tree in the same room as the wood stove. They are in opposite corners, but it’s not a big room, and the heat from the stove would dry the tree out in minutes. Toasty is a good word. In fact, it gets a little too hot sometimes. The cats love it, and it dries me and my gear out well after snow blowing. The best is when it’s bitter cold out. Then the stove seems to help keep the house warm without driving us into the poor house. I write about this annually, but for different reasons. Some believe that Christmas trees are taken from forests, so I must explain that they are grown like vegetables, cut flowers or cut foliage. Also, I must warm about the live Christmas trees that people often plant out in the garden after Christmas. The problem is that almost all are Italian stone pines that grow fast and HUGE, and they typically get planted right up against the house. So true! But I still feel a twinge of sadness cutting down a Christmas tree. Oh, how I wish I could grow an Italian stone pine. I admired them all over Italy and especially in the Boboli Gardens in Florence. Magnificent bark… and pine nuts! There were a few magnificent ones here too, particularly the pair in Blaney Plaza in downtown Saratoga. Sadly, they are gone now. They do very well in our climate, but need plenty of space. A lack of space is their main problem. I’d vote for a live tree every time! We’ve always been lucky with the ones that we’ve bought from the same guy for about the last 20 years and they seem to last long enough for the holiday season. We surely are enjoying our Mama’s artificial tree, and look so forward to retrieving from the attic shadows and decorating it early, with our wonderful collection of meaningful ornaments! It then comes to life as if we had just brought it in from the woods!! Thanks, Mama!! 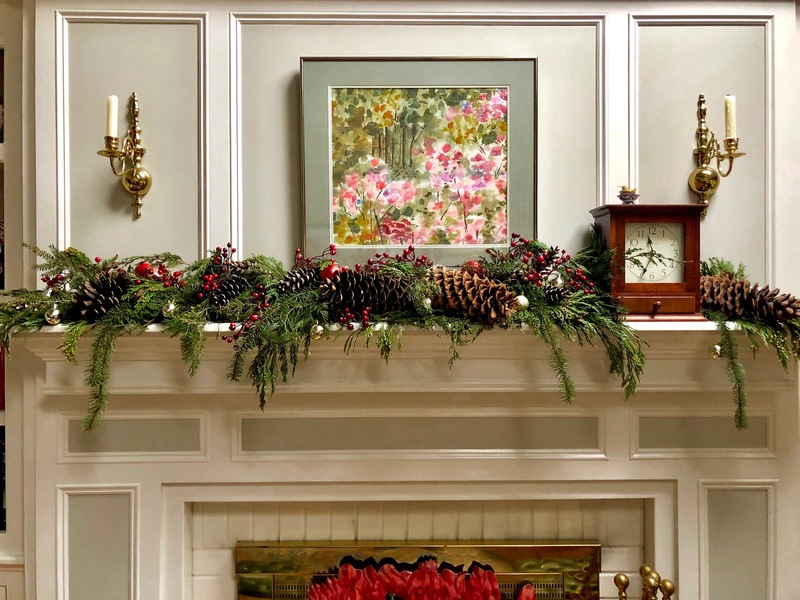 ps: Your mantle decor is perfect! Hi, Nancy Thomas Santa! Luckily, the choice is an easy one for me because I am allergic to many evergreens. I can get by if it’s outside where there’s lots of fresh air but we used to have real trees when I was a kid, and I would get really sick until that tree was taken away each year. It took me awhile to put it together that it was the evergreen making me so sneezy! So… artificial tree for us! But I really do think real trees are beautiful and smell so nice – so I can see where it would be a tough choice. Oh my! I’ve decided to shop for an aroma diffuser to fill the house with balsam scent for the holidays. I wonder if your allergies could tolerate essential oils.